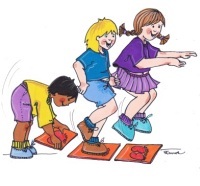 Have you ever played Hopscotch as a child...well you will love the concept of Hop Swap and Jump. Children need lots of experience and exposure to hopping, skipping and jumping skills to enhance their co-ordination and lower body strength and agility. All easy to download and ready to use.